OLD-Team-Bio-Copy — Bright Leap is a digital marketing and innovation agency. As an agency created by entrepreneurs for entrepreneurs, our team has built award winning marketing strategy, ground up. Meet our core team, though mind the dust; this page is constantly expanding. Bright Leap has a distributed agency model that enables us to bring on the very best marketing talent for each client. Collectively we have passion projects, startup advisory gigs and teaching roles that keep us engaged, learning and relevant. Deb Choi is founder and Principal of Bright Leap, and is based in New York. Named one of "America's Top Entrepreneurs” by BusinessWeek in 2007, Deb's focus is helping early stage teams identify user insights through qualitative, competitive and quantitative data in order to reach product/market fit. A graduate of the University of Chicago, Deb previously founded and exited two award-winning startups in the fashion e-commerce and media industries. She's also spent time "brand side", previously launching global and enterprise social and mobile platforms for Coach and developing new digital advertising products at New York Magazine. In her spare time she actively mentors and advises first-time founders, and has served as a keynote speaker on topics of business and entrepreneurship. Vato is Client Director, overseeing strategy and execution across Bright Leap’s clients, and is based in New York. With a several years experience at hedge funds and in private equity, Vato has significant background in equity research and the valuation of both private and public companies across industries. Vato completed his Master’s in Finance & Investment Management at Lubin School of Business where he also served as President of the New York Society of Security Analysts Chapter at Pace University. Cosmo Grill is Director of Analytics and Growth and is based in New York. With an acquisition record of millions of users for B2C and B2B startups, Cosmo’s area of focus is utilizing data, segmentation and automation to drive growth and conversion. A marketing graduate of Berkeley College, Cosmo is a scholar of the intersection of social psychology and digital marketing. He's also an instructor at General Assembly, where he's supported hundreds of students to accelerate their careers in marketing. Michelle Tresemer is a lead Paid Media and SEO strategist for Bright Leap, based in Seattle. As a digital native, Michelle enjoys using new technologies to reach audiences more effectively. She holds a bachelor’s in advertising from Pepperdine University in addition to earning an MBA and Google Analytics certification. Her focus on emerging e-commerce technologies helps inform lead generation efforts for a holistic approach to digital marketing. Michelle enjoys volunteering as a mentor and speaker for the Center for Nonprofit Success as well as guest speaking at local tech and marketing Meetup groups in the greater Seattle area. Antonia oversees Media Spend and Content Strategy for Bright Leap clients and is based in Paris. Antonia spent six years working for two of New York City’s top digital advertising agencies--Night Agency and AKQA--where she created and executed online marketing strategies for blue chip companies like Verizon, Avon and the Dial Corporation. In early 2013 she moved on from advertising to launch un-ruly.com, a beauty platform dedicated to Black women, which gained national and international attention through its short film, You Can Touch My Hair. Antonia is also the founder of Unadorned Media, a media network reaching over 1.5 million women each month, specializing in connecting brands with women through content that's poignant, relevant and entertaining. Carolina Franco is a multilingual Product and Marketing strategist for Bright Leap and is based in Bogotá, Colombia. Carolina has developed marketing and media projects in Colombia, France and Brazil. As a startup leader she founded a travel startup in Brazil and Colombia, leading product design and marketing challenges for low-tech-savvy users. She focused on improving the user experience of the mobile web app and also on user on-boarding hacks to activate audiences through email marketing and social media. She lead a development team (BovControl) in Sao Paulo and turned their product backlog into awesome features, helping to improve cattle managers productivity through mobile app analytics. Carolina is part of the Colombian National Innovation Agency, devising startup programs and partnerships that allocated $2 - 5M to attract and retain world-class entrepreneurs. Charbel Chalhoub oversees Paid Media (with a focus on Adwords Display and PPC) for Bright Leap clients and is based in Seattle. For over 10 years, Charbel has been working within the Adwords program, and continues to uncover new Google SEM and SEO tricks of the trade. He has earned two degrees; one in business and marketing. Anna Mikaela Ekstrand manages Media and Content Partnerships Strategy for Bright Leap clients, and is based between Hong Kong and Stockholm. Anna Mikaela served as editor for Barnebys' blog and social media channels, handling their US launch in 2014. She has worked on social media strategy and content development alongside writing for several lifestyle, culture and art publications including Art Observed, N Degrees and Radar Magazine. Anna Mikaela has held curatorial positions at Bard Graduate Center, Solomon R. Guggenheim and Museum of Arts and Design. Anna Mikaela graduated with an MA in Art History from Stockholm University & Paris Sorbonne-IV; during her undergraduate studies she attended courses in marketing at Lunds University and London School of Economics and Political Science. Anna Mikaela has resided in five countries and speaks four languages, but she feels most at home while surfing the net. Virginia Tse oversees Content and Community Management for Bright Leap clients and is based in Las Vegas. She previously worked at a startup web design/digital marketing company in Los Angeles as a Digital Marketing Consultant, where she managed restaurant clients' digital marketing efforts, including email newsletters, promotions, offers, SMS campaigns, social media campaigns and website design. When she has free time she enjoys immersing in different cultures by traveling abroad (budget and solo travel), arts & crafts, socializing and enjoys trying new experiences. Virginia is bi-lingual, fluent in Cantonese and is presently learning more Spanish. Nneka Salmon oversees Content and Community Management for Bright Leap clients and is based in New York. Over the past 3 years Nneka provided community management services for a boutique modeling agency and music production company. While working with these companies she oversaw all photo-shoots and production to ensure creative brand continuity. She's implemented strategic planning to engage and grow online communities across key social media platforms. A current marketing major and photography minor at Brooklyn College, Nneka continues to create innovative and relevant content for social communities today. Todd Florio manages Creative Branding and Social Strategy for Bright Leap clients and is based in New York. Todd has over 12 years’ experience working in museums and art organizations. After a decade working in museum education, he served as Social Media and Digital Communications Director at Creative Time, an arts organization in New York City famous for pushing the envelope with provocative exhibitions and events. He holds a master’s degree in Museum Studies from New York University, where he focused on museum administration as well as modern, contemporary, and Latin American art. A frequent panelist and lecturer on the use of social media in museums and art organizations, Todd is recognized as an innovative thinker who pushes the boundaries of the digital communications field. Alex Grazioli oversees Video Production and Art Direction for Bright Leap clients and is based in London. For over ten years, Alex has created video concepts for high-profile clients including Sony Music, MTV, Diesel, Vodafone, Dodge and Renault. After winning the prestigious DVAG Milano design competition, he was fundamental in the design of Pope John Paul II’s book, commemorating the Vatican’s 2000 Jubilee. In 2003, he founded Filmmakers Entertainment with Martino Properzi, collaborating on the feature documentary “Odyssey In Rome”, starring Abel Ferrara, Juliette Binoche, Forest Whitaker and Matthew Modine. 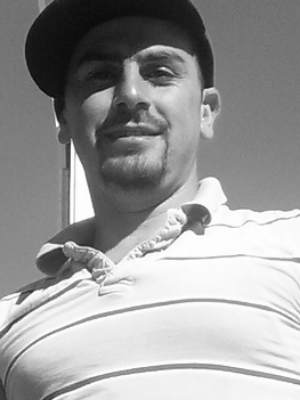 Roy Baladi oversees Operations Strategy for Bright Leap clients and is based in San Francisco. Roy has worked in critical strategy roles at both small and large organizations. He's also a founder of three startups: FreshGrad (a former Bright Leap client), 3Clix, and TheBestStartupJobs. Roy was formerly an operations manager at LearnVest where he was responsible for workforce optimization, schedule optimization, capacity modeling, and general operational efficiency. Roy also worked in Credit and Equity Derivatives at Citigroup where he structured $3 billion of credit products and advised Citigroup's salesforce, traders, and clients on equity derivative strategies.